Waltz Again begins with a thick squall of strings and hyper-Ayler sax wailings, laying down a warning. The strings in this recording will not sit still as a plush backing for treacly balladeering, but will instead bob and weave in constant interplay with the quartet. And when the true ballads come, their beauty gleams off the frenzy that passed before and will rage after. After the squall there is mourning, a swirling dirge of violins that would have Bernard Herrmann sneak a nod of approval. Obsessive and insistent, one envisions a paranoid protagonist bemoaning those voices in his head. That voice, I suppose, would be of Pushkin, and of the works that Murray namechecks for each movement of his "Pushkin Suite #1." That man knew the blues. He would've loved Murray. Onward. With “Waltz Again” his sax swings on the string swell and manages some intimate asides before they ramp up again, bombastic and affecting, a similar if less adventurous feat achieved earlier this year by Wynton Marsalis in his strings concert. “Dark Secrets” continues the richness, with some syncopated rhythm and foot tappin’, the strings reaching for the stars in insistent riffs that Murray outdoes with a high-register, laid back insouciance. “Steps” slows it down, way on down, down in those areas that cut off major motor functions. Light some candles. Highlight: on a break he wails and sighs, poutingly imploring his lover to sidle up and make some real noise. All he gets are strings and a bass ostinato. Sublime. “Sparkle” is merely capable, the strings sawing a simple theme and Murray jabbing his way around it, eventually settling down into a relaxed, ridiculously swinging lounge act. But a lounge act it remains. No matter. 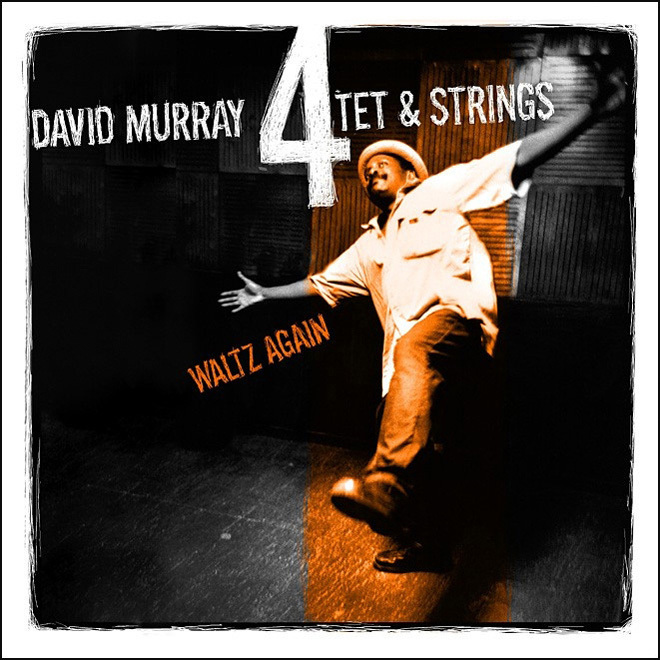 David Murray has made one of the albums of the year.